We all know the philosophical question involving a tree falling in a forest. 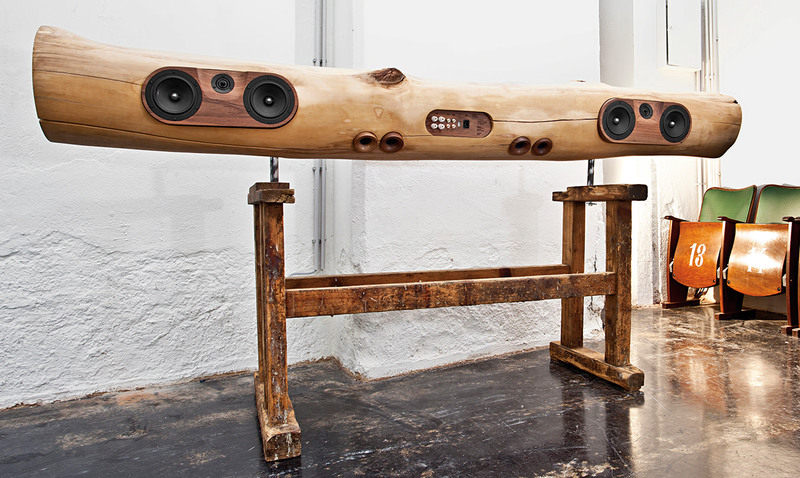 Now, Austrian design studio KMKG has devised a way to keep a tree trunk singing long after it is felled, with their iTree docking stations. Each individual work of art is carved from a hollowed tree trunk and is compatible with iPhones and iPods. The company delivers worldwide, but also offers guided treks into the forests of southeast Austria with a wood specialist—along with a food and wine tour, if desired—for customers who are keen to hand-pick their own tree. The made-to-order systems can be affixed to a wall or placed on a stand, and there’s even the option of a built-in amplifier and turntable. Talk about a statement speaker.